Take the Stavanger – Tau ferry and drive to Preikestolhytta Rv 13 through Jørpeland. 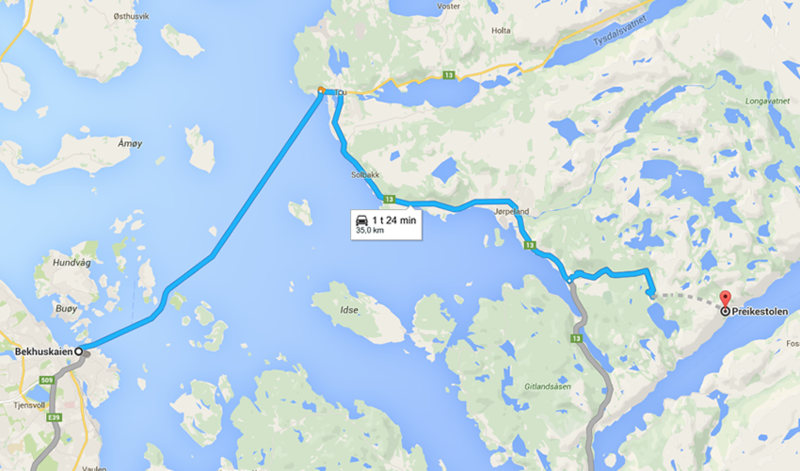 Then it is easiest to travel with ferry from Lauvvik – Oanes and drive up to Preikestolhytta. When you come to Preikestolhytta, the walk up to Preikestolen takes about 2 hours each way. There are 330 meters of ascent. Calculate slightly longer for children or if you are untrained. There are 330 meters of ascent. 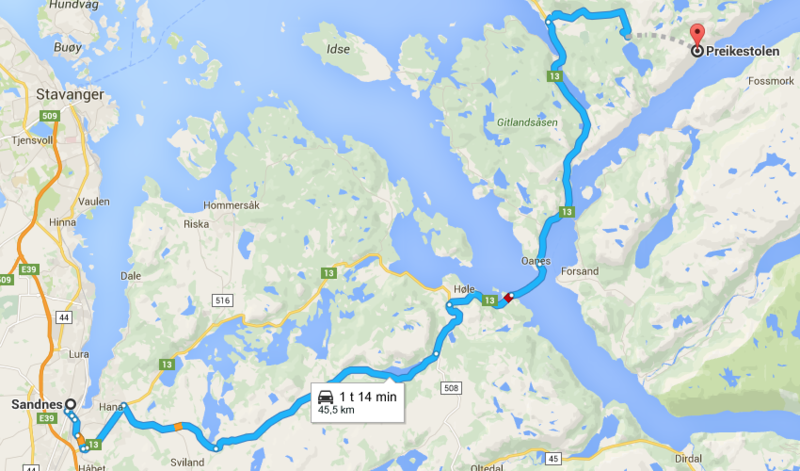 The distance from the parking lot to Preikestolen (Pulpit Rock) is around 3.8 km. Wear good shoes and clothing – and bring food! You will go on a trail that is very diverse. There are several nice places along the trail where you can take lunch break or cool off with a bath.